[author (last name first)]. 2013. [story/poem/essay title] Annak ti Kailokuan iti Amerika 2013 Souvenir Program, [pages]. 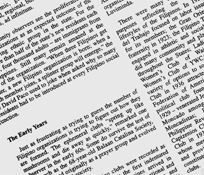 Pacita C. Saludes, Lilia E. Del Rosario and Ciralina Longboy, editors. Honolulu: Annak ti Kailokuan iti America. http://www.efilarchives.org/pubications (accessed [date of download]). 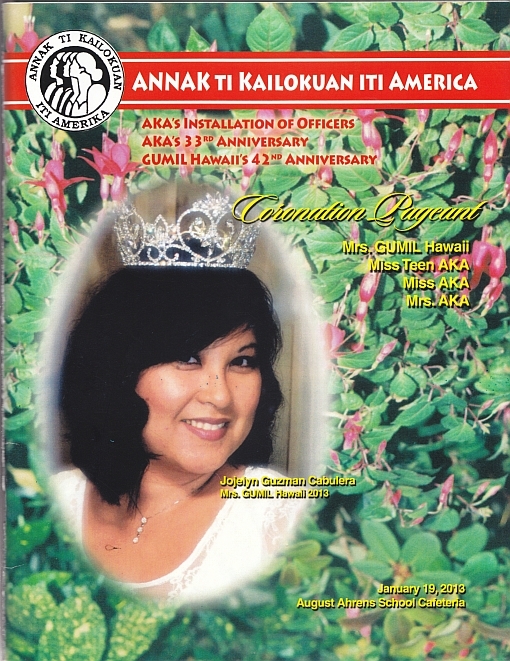 Souvenir booklet of 42nd anniversary of GUMIL Hawaii, the 33rd anniversary of Annak ti Kailokuan iti Amerika, and 2013 coronation of Mrs. GUMIL Hawaii, Miss Teen AKA, Miss AKA and Mrs. AKA. 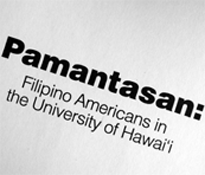 Event took place on January 19, 2013, at the August Ahrens School Cafeteria (Waipahu, Oahu).